2 suns, twice the melanoma, HAHA! Cool piece! 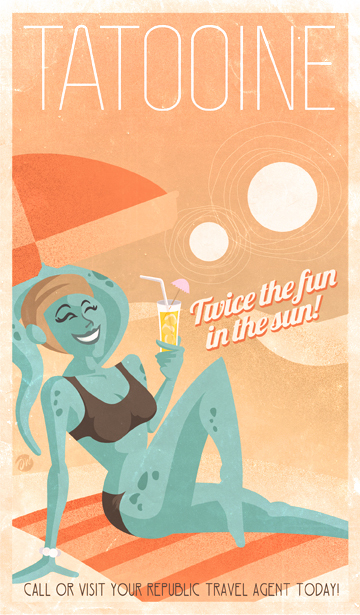 Hmm…love those twi'lek's! That'd get me to Tatooine in a hurry :-) Love the color scheme Jayson!